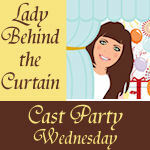 We got a couple other crafty moms together, found a date, and the Book Club Party was born. Chrissy had some decorations left over from her daughter’s Willy Wonka birthday party a year ago, so we were able to keep this really low-budget, low-effort operation. I also restrained myself and only printed out 5 quotes from the 2 books to put on the wall. You can download a Willy Wonka font for free here. I tried to think of a non-messy way to serve “Human Beans,” but couldn’t come up with anything. Then my friend Wendy mentioned crunchy roasted chickpeas would be delicious. So consider that. Activity 1: we made dream jars from the BFG (out on the lanai to contain the glitter). Activity 2: Juicing Violet Beauregard. I got the idea from here. I bought a few of the bluest splash balls I could find at Target, filled a punch bowl with water and a few drops of blue food coloring, and positioned a couple buckets at another end of the yard. The teams took turns filling their splash balls with “juice” running across the grass to squeeze them into their bucket. The team with the fullest bucket at the end of 3 minutes won. We then attempted an activity involving catching “dreams” (water balloons) in those same buckets (yes, the connection was tenuous at best; it’s hard to think of literary-based water games, trust me), but had an injury when someone missed, so I won’t recommend that one. Then we turned on the sprinklers and just let the kids run! 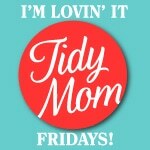 Because kids need unstructured play time too. The party was a success! 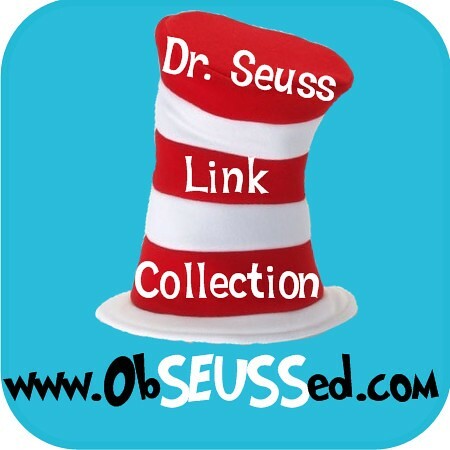 It was fun to share the joy of some of our favorite childhood books with our kids, and let them share these literary experiences with their friends. 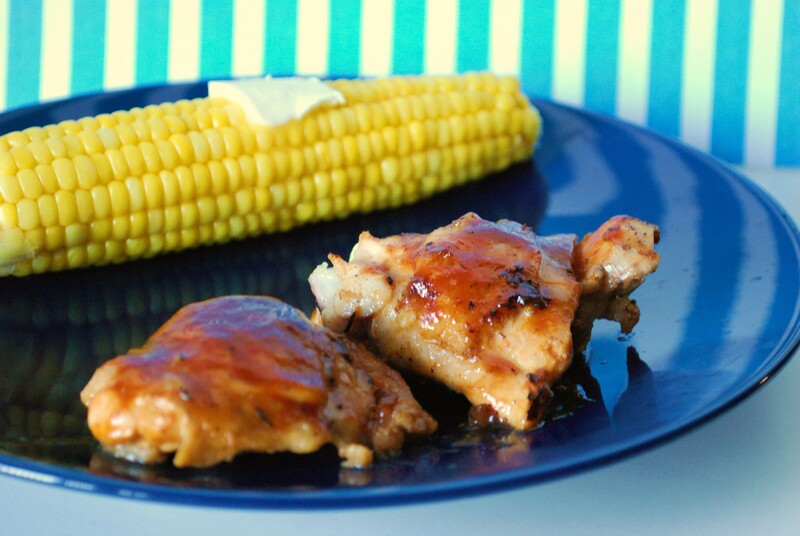 Oven-baked BBQ chicken with corn on the cob. 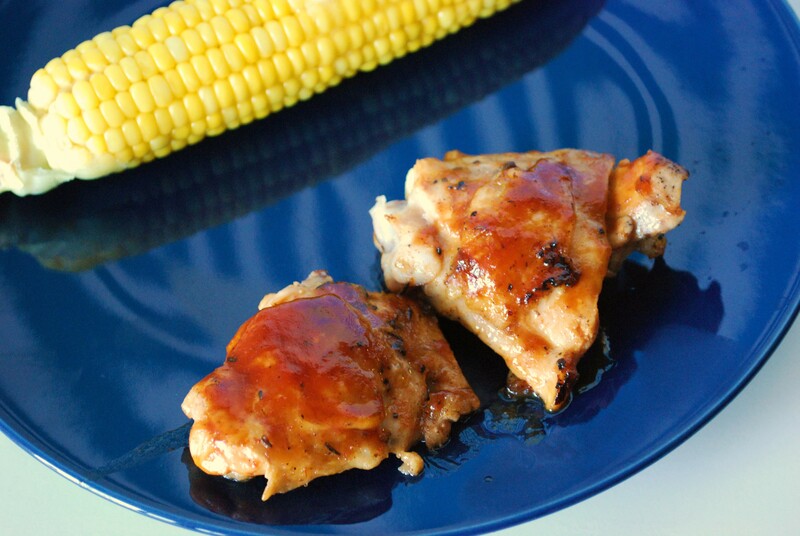 This is the oven-baked BBQ chicken that will make you say goodbye to your grill forever. No, not really. But it will have you salivating & saying “mmm” every 3 seconds. &, for my fellow apartment dwellers, it’ll make you feel just the slightest bit less sad about your lack of a grill during the summer. This recipe gives you the grill marks & smoky taste of the grill with the temperature control of an oven, resulting in a juicier piece of chicken that you actually know is done. What a novel concept! It originally came from here, & the simplicity instantly sold me on it. What didn’t was seasoning it with just salt & pepper. We can do much better than that! Preheat the oven to 375. Heat a grill pan on medium-high. 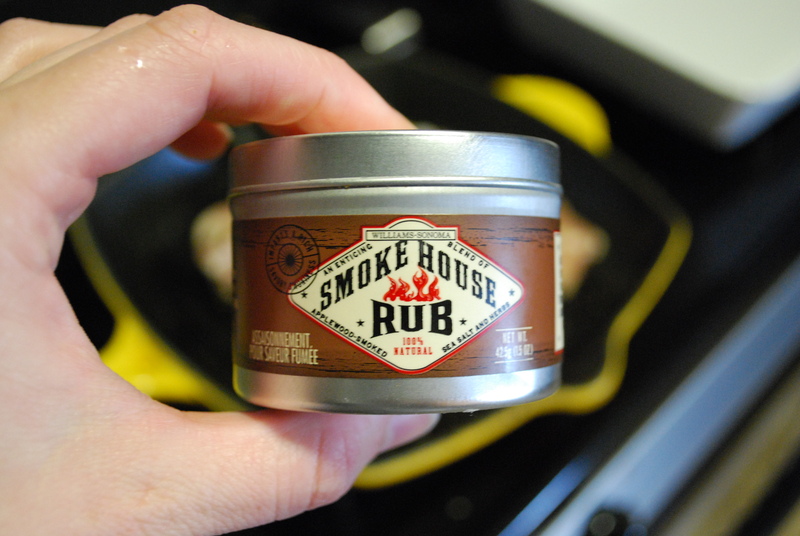 Trim extra fat from chicken & sprinkle both sides with Smokehouse Rub. 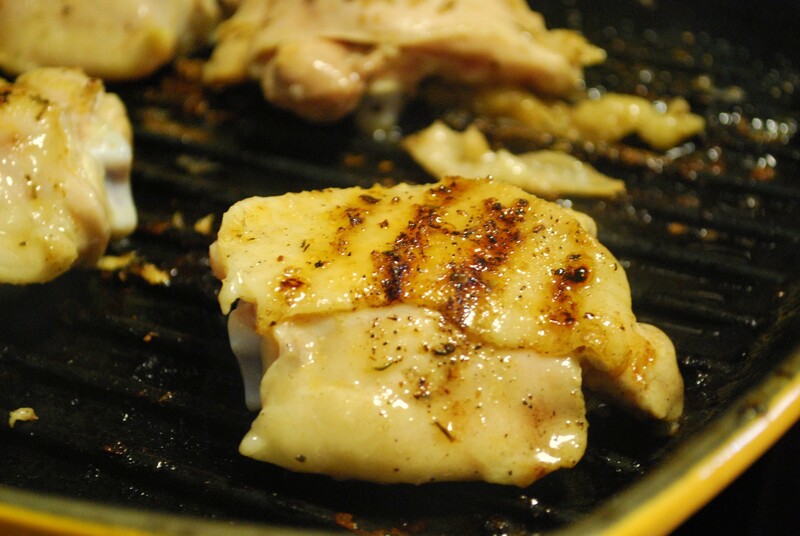 Spray pan with PAM & sear chicken until browned on both sides, with nice grill marks. Work in batches, if necessary, re-spraying between batches. When chicken pieces are browned, remove to an ovenproof baking dish. Pour barbecue sauce over the top, spreading evenly. Cover with foil & bake 30 minutes or until cooked through. The chicken will be moist, juicy, & swimming in delicious barbecue-y goodness. Serve alongside some yummy corn on the cob (see foolproof method below) for a real summer meal! First, it helps to buy Indiana corn. It just does. Sweetest, juiciest corn for like 24 cents an ear (or less, if you go to the Farmer’s Market). Anyone else out there know what I’m talking about? 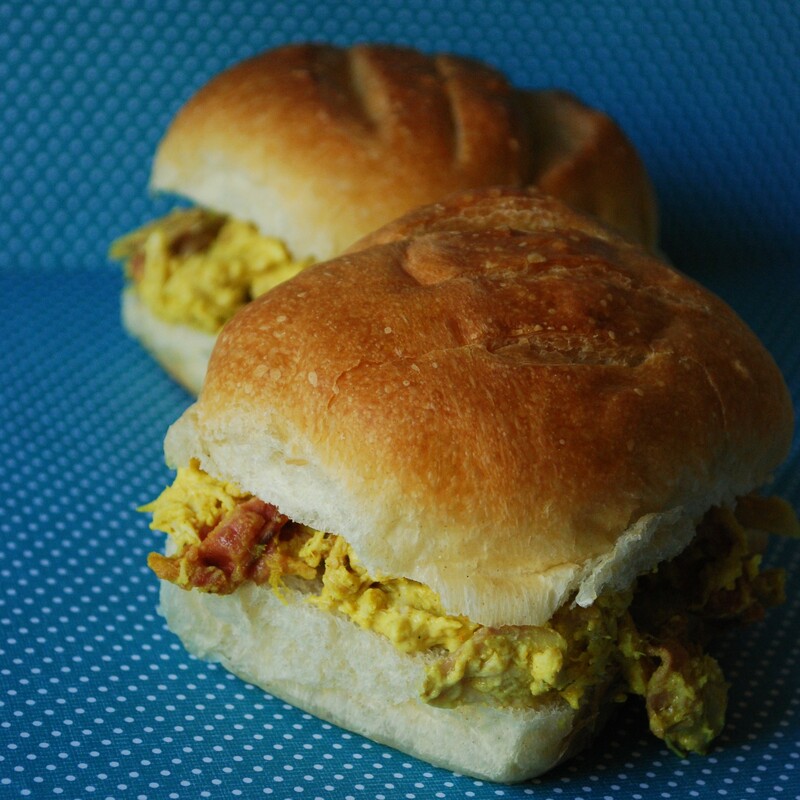 Even if you’re using anemic Jersey corn instead, it can still be delicious. Just boil enough water to cover in a large stockpot & add a generous pinch of sugar. That’s the secret ingredient. Add your corn, then cover & return to a boil for 4-5 minutes. Perfection! Oh, & make sure to use unsalted butter on your sweet corn. You can thank me later. Happy Flag Day! 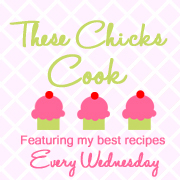 It’s actually tomorrow, but I’ve been so excited to share this recipe that I couldn’t wait one more day. Flag Day, every June 14, celebrates the day in 1777 that the Second Continental Congress adopted the American Flag. Though it’s not a national holiday, it’s a significant day in our nation’s history, & especially since it falls just about halfway between Memorial Day & Independence Day, it’s a great day to feel a little more patriotic! That’s why I’m sharing this potato salad with you. 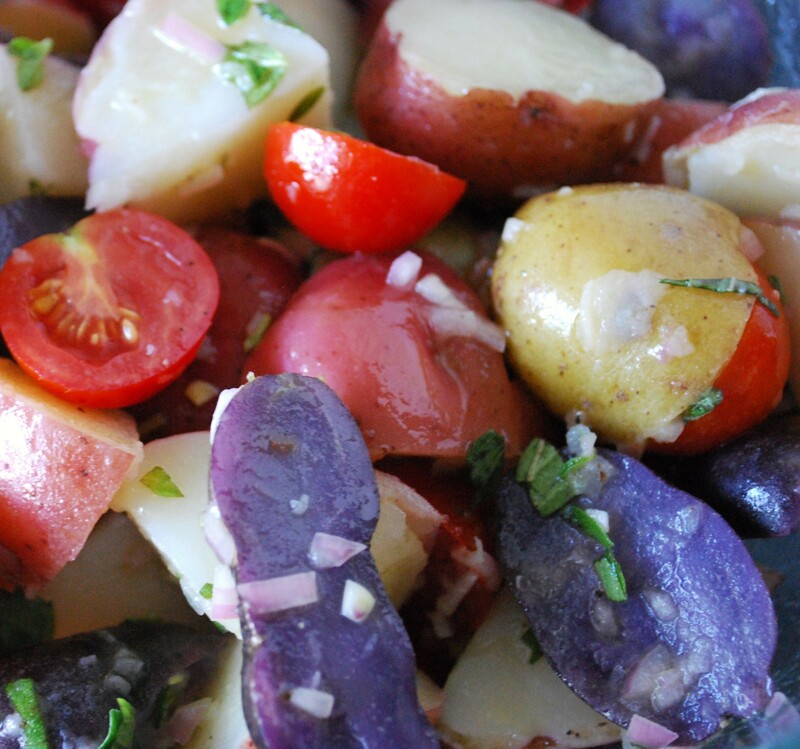 Summer seems to be the “official season” of potato salad, with all of its picnics & potlucks, but those pesky health code restrictions kind of get in the way, don’t they? Keep it cold. Don’t let any potato salad with eggs in it sit out for too long. Etc. That’s why this is the perfect potato salad! Number one, it’s not made with eggs, so you don’t have to worry about it spoiling. Number two, it’s actually designed to be served warm (even though it still tastes great cold), so it’s just fine at a picnic on a hot day! I thought you couldn’t get any more perfect than that… until I realized I could make it red, white, & blue. You can buy blue potatoes at most higher-end supermarkets — I got a bag of reds, blues, & a few Yukon Golds at Whole Foods. Blue potatoes are fun, tasty (a little heartier than a standard new potato), & will be a great conversation-starter at your next potluck! Those of you who’ve been around here for awhile may recognize this recipe as the potato salad served alongside these slow-cooker-braised chicken thighs. 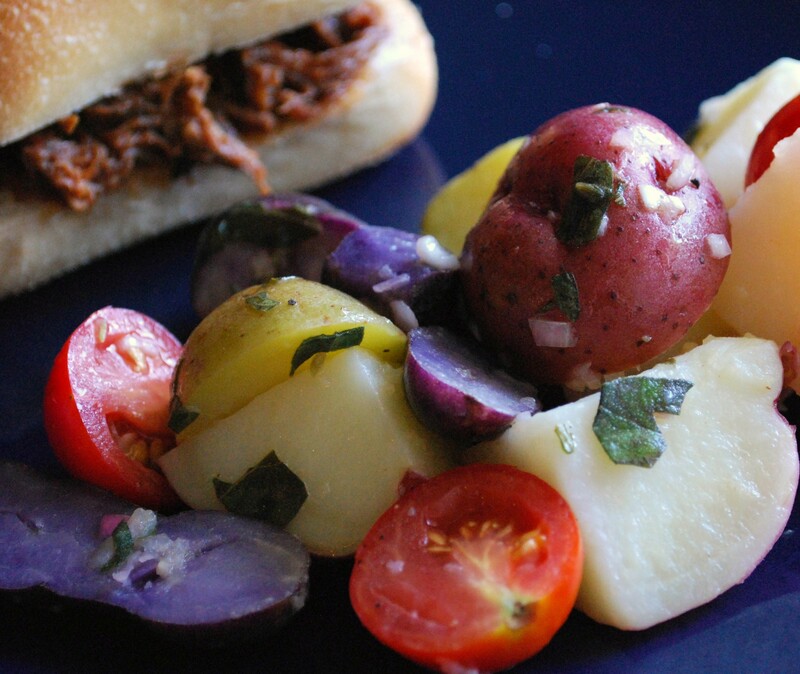 I just swapped in some blue potatoes, served it with my mom’s BBQ beef sandwiches, & had a whole new meal! In a small bowl, whisk together all but the last of the Shallot Vinaigrette ingredients. Whisk in the oil until emulsified. Cover bowl with plastic wrap & refrigerate until ready to use (no longer than an hour; it’ll separate). Place potatoes in a large saucepan or stock pot with enough salted water to cover, & bring just to boil on medium-high heat. Cook, uncovered, 8 min. or until tender. Drain & transfer to a serving bowl. While still hot, drizzle with 1/3 to 1/2 cup (or to taste, but start small & work your way up) Shallot Vinaigrette (you may need to whisk it again if it separated) & toss to coat. The smell as the dressing hits the hot potatoes is amazing! Let cool slightly, then add cherry tomatoes & oregano. Toss to coat. Serve warm immediately (it tastes best this way) or refrigerate until ready to serve. 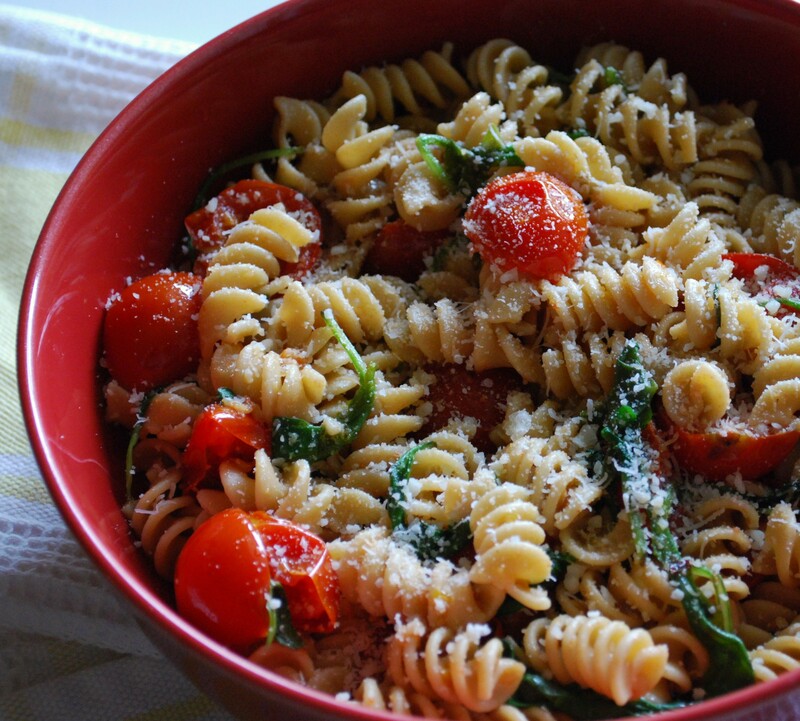 On the lighter side: Pasta with Arugula & Tomatoes. I don’t know about you, but in the summer time I start craving more fruits & veggies, & less meat. So I was so glad when I found this recipe, way back before I was pregnant with The Munchkin, when I was getting paid to stare at a computer screen for 40 hours a week & had time to peruse the deliciousness that is Serious Eats. I have since fallen way behind in my Serious Eats reading, much to the detriment of my weekly menu, but I’m managing. In fact, just now as I went there to find the link to the recipe, I found myself scanning a few of the eye-candy photos… It’s addictive. Anyway, back to the pasta. This meal is light but satisfying, fresh, easy, colorful, & flavorful. I think we have all our bases covered there… Shall we begin? Bring a large pot of salted water to boil. Meanwhile, halve or quarter cherry tomatoes. Add pasta to water & cook to al dente according to package directions. Once pasta has been added, heat oil in a large skillet over medium heat, then add garlic & red pepper flakes. Saute until fragrant, about 1 minute. Add tomatoes & saute, stirring frequently, until softened & skins are beginning to blister, about 5 minutes. 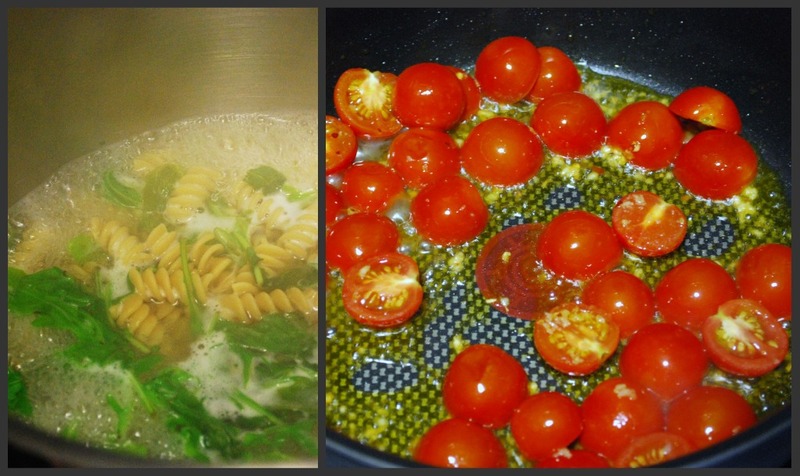 Add arugula to pot of pasta water for last 2-3 minutes, then drain & return to pot. Toss tomatoes with pasta mixture, then transfer to pasta bowls & top with Pecorino Romano & salt, to taste. Delicious! What’s your favorite light summer dish? Staying cool in (& out of) the city. Happy June, everybody! Here in the tri-state area it’s already been 8 zillion degrees for like 2 weeks… & before that it was cold & rainy. Where did spring go, I wonder? On Saturday we decided to beat the heat by heading to Central Park & splashing around in one of the city’s many fabulous splash parks. The Munchkin’s grandparents sent her this Patagonia swim dress made of quick-drying swim-trunk material; it was perfect for not only this, but for the stroller & train ride home too: she just stayed in it the whole time & dried off fine — no peeling off & carrying around soggy suits! She enjoyed running away from the jets & splashing in the puddles. 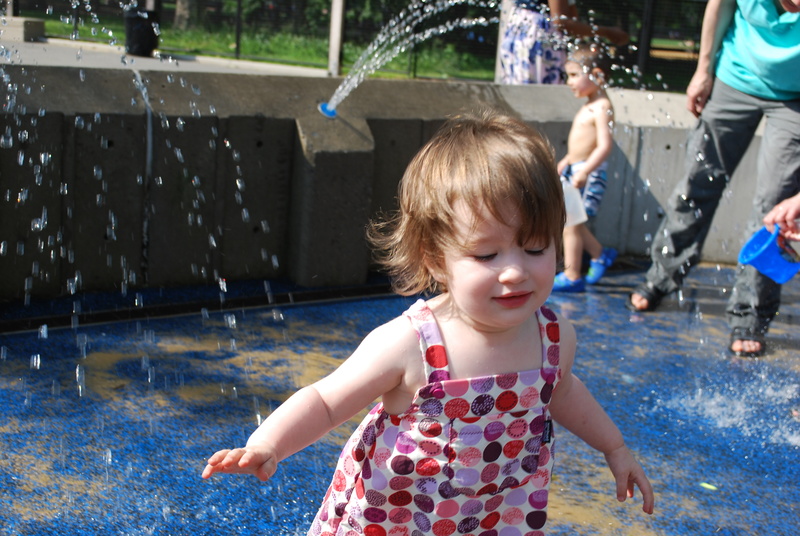 But I’ll tell you what: the splash park was nowhere near worth the really hot, sticky walk there & back — much less the train fare — for her dad & me. So how could we all stay closer to home & still get outside without frying? The correct answer is a water table — if you’re not moving in 2 months. No point in buying one more thing to pack, right? So I tried to figure out how to improvise one of our own in the meantime. I grabbed a mixing bowl full of tap water, some tupperware & a lid, a slotted spoon, & The Munchkin’s IKEA stacking cups (we use these for everything, & as a result we’re down one or two), & we headed to our delightfully shaded (less delightful when trying to take pictures) balcony. 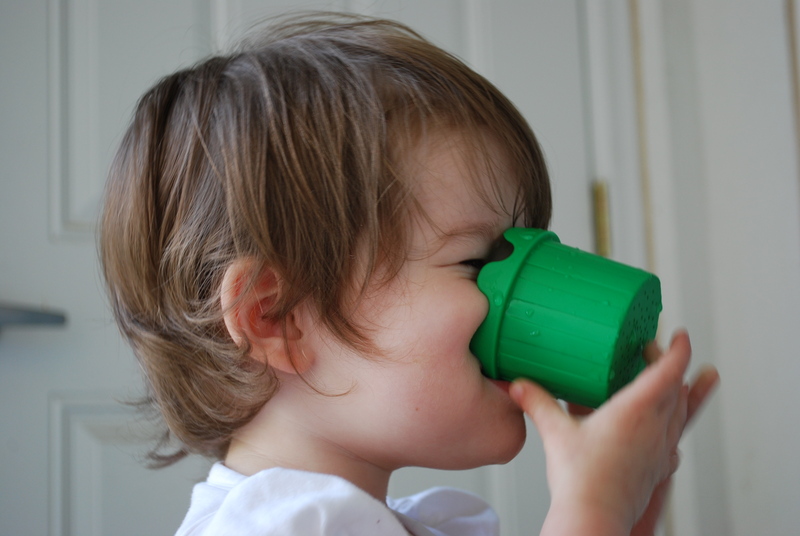 We learned how to scoop water out of one container & “dump” (her favorite word while doing this, apparently) it into the other. 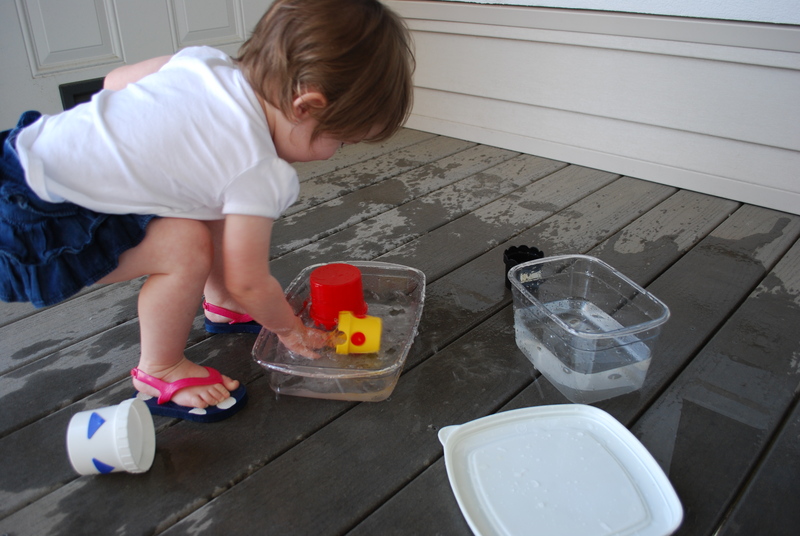 There was a “no-dumping” rule attached to the large containers… As you can see by the size of the puddle, it took a couple tries to understand that concept. We stopped for a drink — dumping is thirsty work! 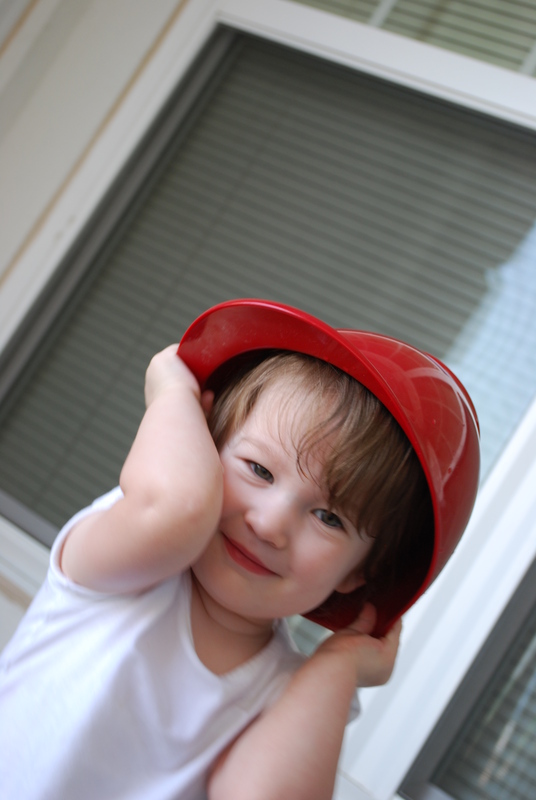 How do you & your kids have fun when it’s a zillion degrees outside? 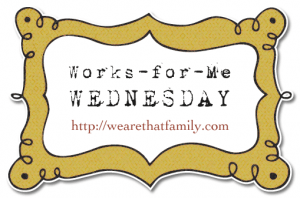 Wordless Wednesday: Signs of summer. 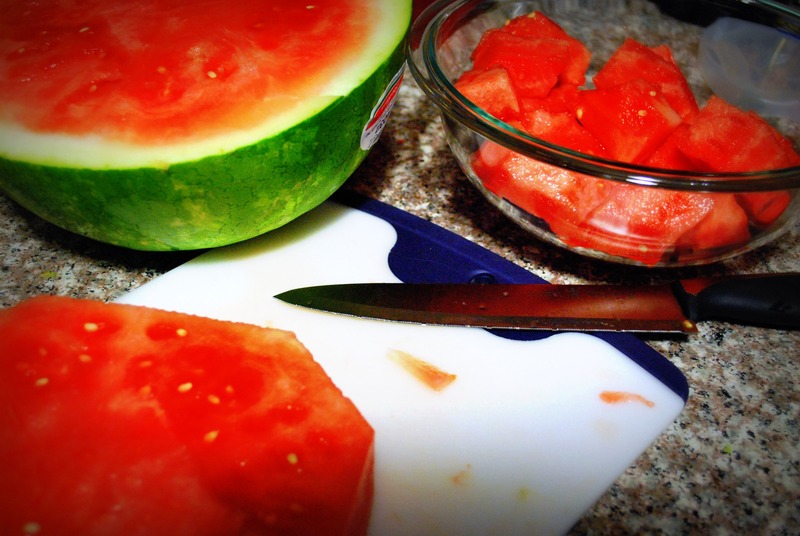 …& slicing into the first watermelon of the season.